E-File your Business Income Taxes Now, Less Than 4 Days Left! “It’s income tax time again, Americans: time to gather up those receipts, get out those tax forms, sharpen up that pencil, and stab yourself in the aorta.” – Dave Barry. It is not at all wrong to have a thought to file your business income taxes on time, but one should make sure that they file it correctly with all the required supporting documents & pay their taxes on or before the deadline that falls on March 15th to safeguard themselves from IRS penalties & interests. Only very few have all the necessary documents handy to submit their Business Income Taxes on time. What about Others? Well, it is a well known fact that most of us fall under the others category mentioned above. Here is what you can do to protect yourself from IRS penalties & Interests. 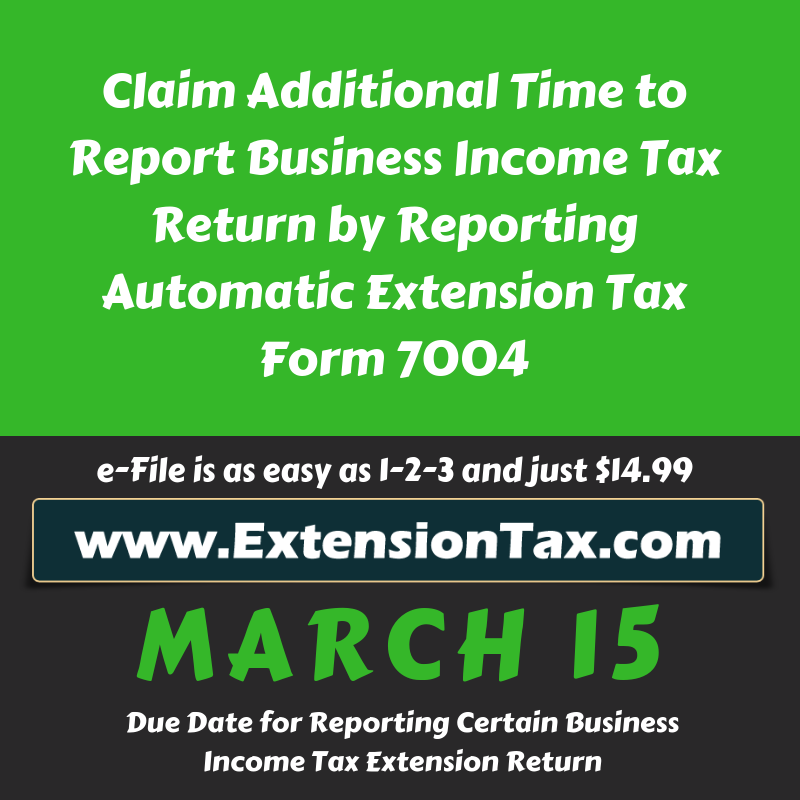 E-file Form 7004 – Extension of Time, to file your Federal Business Income Tax. It is the only available solution to legally procrastinate your Tax filing. How to file it? 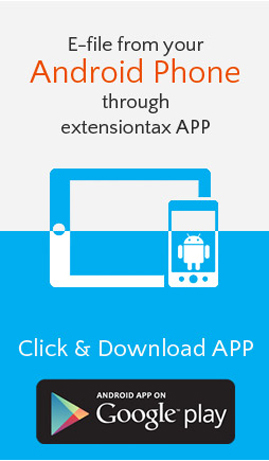 Even simpler www.Extensiontax.com that’s where you can get it done within minutes. 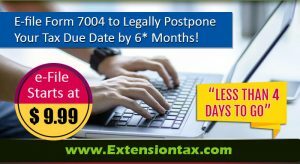 With less time in hand to E-file Form 7004 for Tax Year 2017, the best way to get it done on time without facing the hazels of Interests & Penalties is by E-filing your Federal Extension Tax Form 7004 through www.Extensiontax.com – A Product of Think Trade Inc, an IRS Authorized E-file Service Provider for E-filing Federal Extension Tax Forms & Excise Tax Forms. NOTE: Filing Extension tax Form gives you more time to prepare and file your tax form. IT DOES NOT PROLONG THE TIME TO PAY YOUR TAXES. Business Income Taxes you owe has to be paid on the actual due date, which is March 15th, 2018. Every minute you delay thinking about your choices, is taking you close to penalties and Interests. 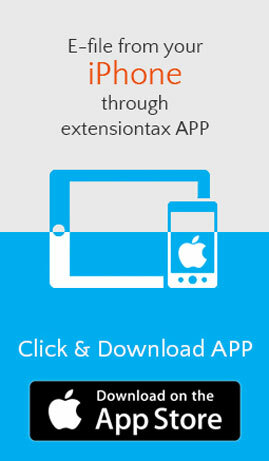 Log on to www.Extensiontax.com right away and E-file your E-file Form 7004 now. For any queries you may have feel free to reach our handpicked & experienced Tax Experts @ 1-866-245-3918 or you may even write to them @ support@extensiontax.com . This entry was posted in Efile 7004, Efile an Extension tax, Efile Extension, efile extension form, efile form 8868, efile income tax extension, efiling, efiling Corporate Tax Extension, efiling Easy Extension, efiling Efile 4868, exempt Organisation, Extension form, Extension Tax, Extensiontax, Fast and easy return, file extension online, Form 4868, Form 4868 efile, Form 7004, Form 8868, Form 990, Form 990-T, Get instant Extension, Instant Approval, IRS, IRS Extension, IRS Updates, Online Extension, Tax Extension, Tax Return Preparers and tagged Authorized Efile Service Provider, Business Income Tax, Easy Extension, Efile 2350, Efile 4868, Efile 7004, Efile 8868, Efile Extension, Efile for an Extension, express extension, Extend your Deadline, Extension of Time, Federal Income Tax Extension, File Later, File Taxes later, Form 2350, Form 4868, Form 7004, Form 8868, Income tax Extension, IRS Extension, Online Extension, Pay Later, Personal Income tax, Six months Extension, Tax Return Preparers on March 12, 2018 by TaxExpert.